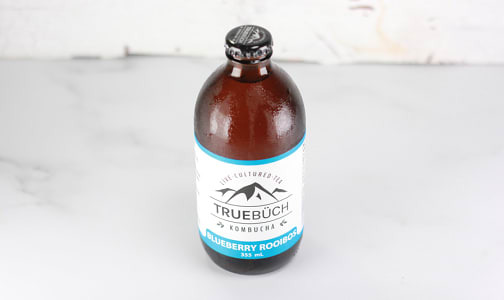 True Büch Kombucha is a local KomBrewery owned and operated by Conrad and Louisa Ferrel. We are grateful to be located in Calgary, Alberta, at the foothills of the beautiful Rocky Mountains, where we take advantage of world class skiing, hiking and rock climbing throughout the year. True Büch is handcrafted in small batches, supporting local businesses and using only organic ingredients, thus creating that special connection from producer straight to the local consumer. Our love affair with kombucha began a few years ago, when we discovered this tasty elixir while traveling in Asia, and couldn’t get enough of it! Upon returning home, Conrad took to brewing his own flavors, and soon realized the extended health benefits of this deliciously bubbly fermented tea. As a celiac, allergy and asthma sufferer, Conrad noticed that over time, Kombucha was one of the few things his immune system could tolerate - obtaining the much needed stomach enzymes, probiotics and amino acids his body was craving. Louisa, who was skeptical about the mess in her sacred kitchen space at first, jumped on board the fermentation train when she was diagnosed with an auto-immune disease a year later. Over the past few years, we have been sharing our tasty büch concoctions with friends and family, and began to notice a lack of local product in Calgary.